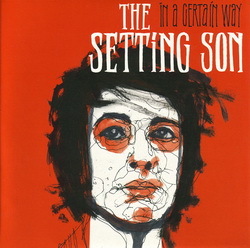 In a Certain Way is the debut 7″ by The Setting Son. It was taken from the debut album which was produced by Lorenzo from Baby Woodrose and was recorded and mixed in 9 days at the Black Tornado studio in Copenhagen. In A Certain Way was chosen as the first single and was released as limited edition 7” vinyl, Download and as CD single. The b-side is the exclusive “I Wish”.